At one point in Dianne's life she believed that people grew up and when they did they stopped reading Fantasy. She discovered that life without Fantasy was soon out of kilter. She never planned to be an author, but a chance week at a retreat center dropped the idea for a story into her head. When not writing fiction, Dianne spends her time writing non-fiction where she seeks to help people discover the treasure of their own true selves so they can persevere in their own hero's quest. 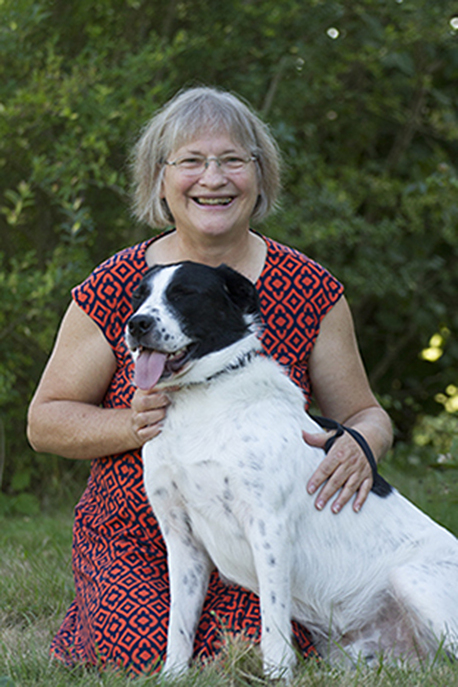 Dianne lives with her husband Doug, his three cats and her beloved dog Thomas. Dianne says, "It seems I have always been drawn to dragons. There is the dragon tea pot, with a spout that doesn't really work. There is the dragon necklace. And the only stuffed toy I've bought for myself was a dragon. Someone once asked me what kind of animal I would bel. There was a look of shock on her face when I said dragon. So it only makes sense that when I write a book there would be dragons in it." There is an ancient school few know of on an island shrouded in mystery off the west coast of Vancouver Island. Heroes from a previous generation train those who belong to the future. Student Ben Taylor does not know the true purpose of the school. His father left him at Fairhaven and disappeared. Every night Ben has the same nightmare. A winged creature of scale and claw carries him through a night lit by two moons before dropping him into dark water. When Ben goes to see the principal of Fairhaven (who is also the Earth’s Watcher) about his fear of water Mariah Templeton gives him a simple test. Fail the test and he will go to a new school next year. Unexpected things happen and that very day Ben ends up being sent through a portal to a world full of water. Ben’s journey does not make the Watcher happy. In fact, most people, including Ben will think a huge mistake was made. The first person Ben meets on Lushaka is a Mermaid named Charla who doesn’t care for humans. Yet she will travel with Ben and a human boy named Jared in a quest to stop a war between humans and mer. There will be dangers to face along the way. But the biggest danger waits for them on top of a mountain. If they make it that far, there will be answers to the question of just who Ben is, and where his nightmares come from. Grade ten isn’t turning out the way Ben hoped. Ben’s best friend is no longer his roommate, but has been replaced by a strange boy who follows Ben everywhere. Jealousy awakens the dragon fire within Ben when the girl he likes returns to school with a boyfriend. That fire and the scales peeking out from under his shirtsleeves are making it increasingly difficult for Ben to keep his secret. Ben needs to go to his mother’s home world to learn how to transform into a dragon. Meanwhile Ben is changing and if the training comes too late he is in danger of becoming something that is neither human nor dragon.